Despite having rooms full of the many toys you have bought them over the years, kids still get bored and restless when stuck inside for excessive heat or a rainy day. So what can a parent do during another day when the kids want to go outside to release pent up energy? Thankfully, there are so many indoor games. Besides, playing inside will allow parents to keep a close watch on their kids while doing other work. 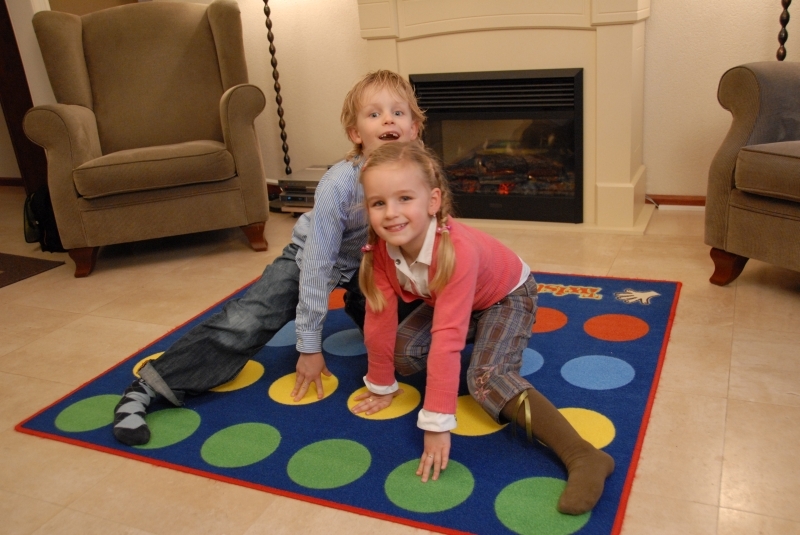 A little creativity from both parents and children will end the difficulties of finding fun indoor games. Let the imagination flow into hours of fun with these awesome games. In this classic age-old indoor game, kids and even parents, take turn being ‘it’ and counting to a prearranged number, such as ten, or thirty, while the others run and hide. When hiding, think of creative places that might seem hard to get in and could be overlooked by the seeker. Depending on the time, however, the hiders will have to act quickly. Once finished counting, the seeking begins. Amazingly, this game uses critical thinking and strategy as children make decisions not only about where to hide, but where they should begin looking. Everyone loves a good treasure hunt, even parents! 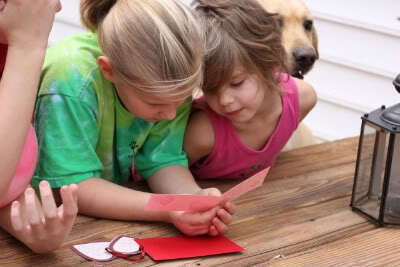 This activity may take some prearranged planning to develop clues and place the items in the appropriate spot. You may choose for there to be one end goal prize, or for there to be several items placed all throughout and found with each clue. Regardless, clues should be age appropriate and educational. For example, a clue could say ‘look for an out of place object in the drawer that holds things we use to put food in our mouths’ – which should lead to the silverware drawer to find something not usually there. Did you know you could make your own bubbles? This fun science activity can show kids the beauty of chemical interactions. Grab a plate, preferably hard plastic, some soap, a straw, and a bit of water. Place a small dollop of soap in the middle of the plate and cover it with water before mixing until sudsy. Once the solution is sudsy, show the children how to place a straw in the plate and begin blowing bubbles. 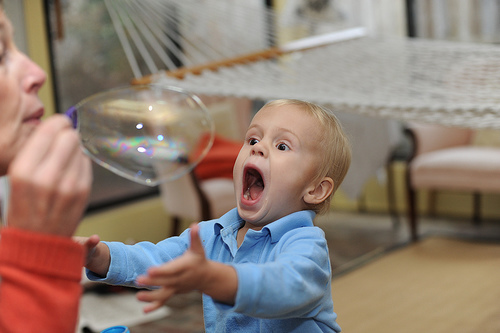 These bubbles will appear in various sizes, allowing a small competition out of who can create the largest bubble, or the bubble that floats the highest. Get your children’s detective thinking cap on with a game that asks them to identify objects without seeing them. Find a decently sized box that will allow you to place various sized items within. Next, cut a circle in the box that your child’s hand can fit through. Place an item inside and let the kid feel the object. They are allowed to ask questions to help guess what has been placed inside and should definitely earn a prize if they say the right object without looking at it. Designed for problem-solving, geometry and critical thinking skills, puzzles are the perfect long day activity as they can take hours to complete. For older kids, it may be best to purchase 500 or 1,000 piece puzzles to keep them busy for several hours. 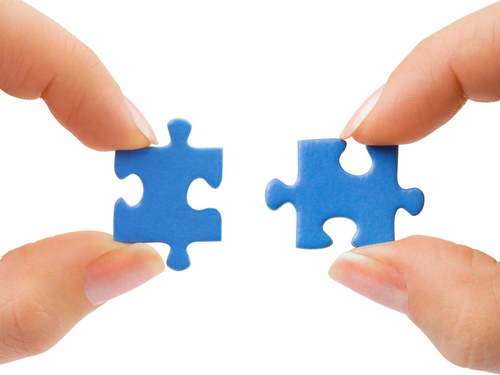 For younger kids, however, they will be fascinated with creating their own puzzles. Grab some cardboard and markers, draw a fun picture, and then the parent can use a sharp knife or scissors to cut the cardboard into multiple pieces that can fit together. Mix them up and let the fun begin. Rather than buying the store version, get creative and make yours with construction paper circles placed on the floor, or even tacked on to the wall for a bit of extra fun. You can make a spinner if you like, or simply pick and choose as your kids get twisted up in knots with this active game, perfect for releasing all that energy they always seem to have. This helps kid’s gain flexibility and the ability to identify various colors – which is why you should feel free to use any color of construction paper you can find. 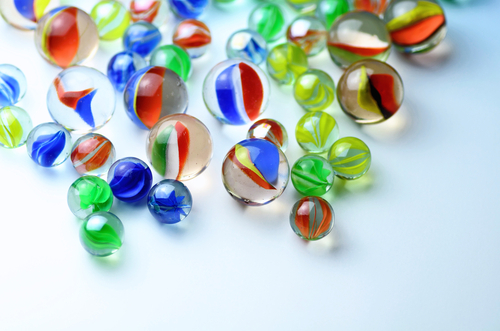 This marble game requires a significant amount of hand-eye coordination and a general understanding of physics as the goal is to roll a marble from one player’s tube to the next. Before the game, you will need several cardboard rolls, such as those wrapping paper cut into approximately foot-long trough shapes. Next, find a single marble, have players stand two to three feet apart, and watch as they try to get the marble in to the next tube without dropping it to the floor. Those who drop the marble are out, and the last one standing wins. Even if your kid loves everything Barbie, there’s no reason to purchase all of the extra equipment advertised as you can use your own imagination to make them at home. 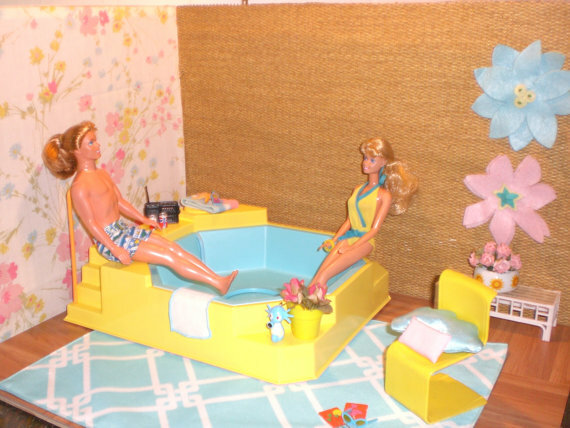 For example, a few Tupperware containers can double as yachts, a bathtub or kitchen sink can act as the ocean or lake, add in a few bikini-clad Barbie’s, and then let their imagination take hold. The group may end up swimming, sun tanning, or having a wild adventure, whatever your kids would like to have happen – within reason of course. This pencil and paper game is definitely doable without purchasing the store version, and allows kids to express themselves by making it their own. 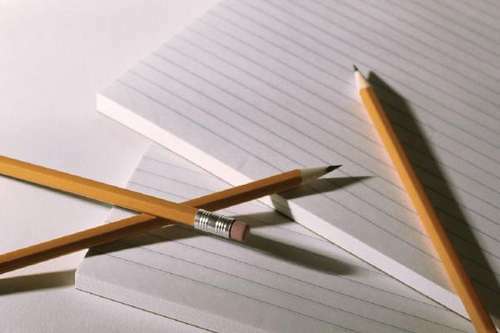 Find or create some graph paper, at least two pieces per player. After marking the grid paper appropriately with identifying makers – letters down one axis and numbers on the other – kids should begin drawing in where their battleships are being placed on one of the grids. The other grid will be used to mark the ‘hits’ and ‘misses’ as they continue throughout the game. Kids exercise mathematical and strategy thinking as they continue to guess and decide where each ship is located. 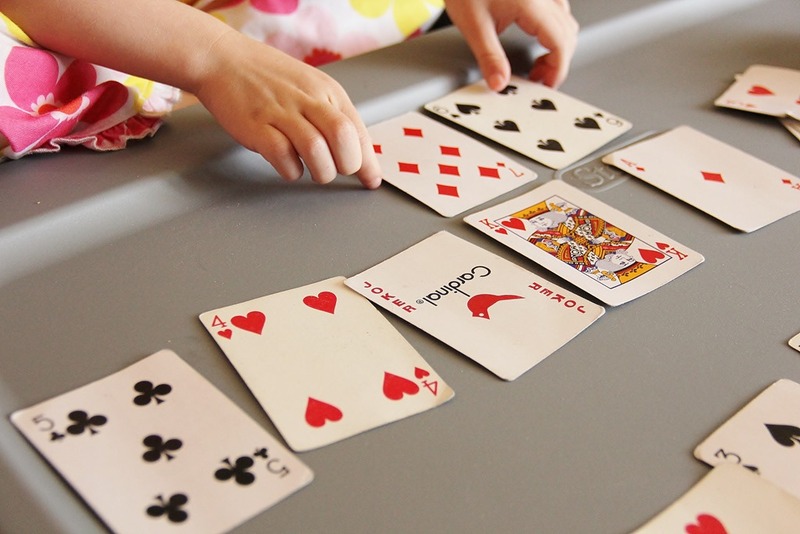 Perfect for challenging minds, card games can provide hours of fun with a single deck. This game is designed for children of three, while requiring a standard deck and at least two players. The goal is to find each card’s pair, which involves remembering exactly where each card is located. Start by placing all 52 cards (or fewer) face down on a large flat surface. Each player takes turns turning over two cards. If they find a match, they get to keep it. If not, they must turn the cards back over and pass to the next player. The person with the most cards at the end of the game wins.